My final project in Intro to 3D was to make a household item. What could be more common than a Wii? (Shut up). 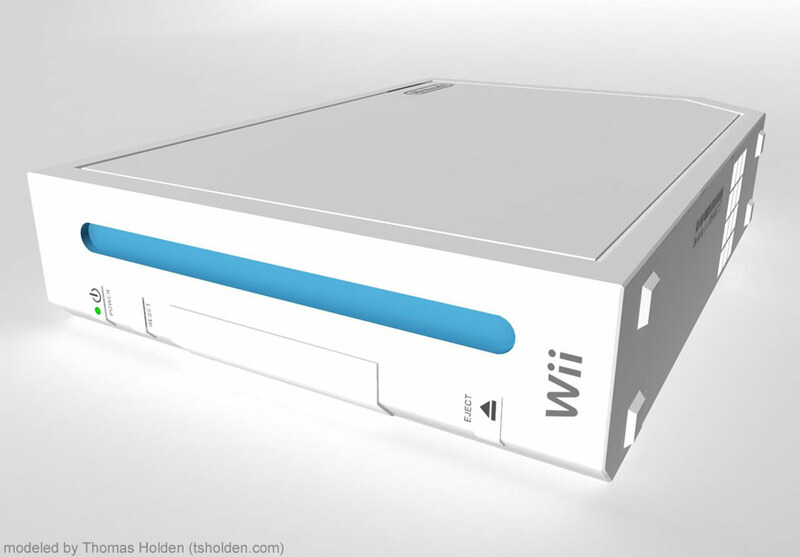 Anyhow, had a lot of fun eyeballing this and getting my hands dirty with the subtler design details of the Wii. It's a pretty genius bit of work. Made in Maya 8.5, mostly via vertex editing. I'm a vertex kinda guy. All of the logos redone by hand using Photoshop CS4 (yay shape layers! ).